Oxford University Press, USA, 9780199376568, 344pp. Lying just south of Neshoba County, where three civil rights workers were murdered during Freedom Summer, Clarke County lay squarely in Mississippi's and America's meanest corner. Even at the height of the Civil Rights Movement in the 1960s, when the clarion call for equality and justice echoed around the country, few volunteers ventured there. Fewer still remained. Local African Americans knew why the movement had taken so long to reach them. Some spoke of a bottomless pit in the snaking Chickasawhay River in the town of Shubuta, into which white aggressors dumped bodies. Others pointed to an old steel-framed bridge across that same muddy creek. 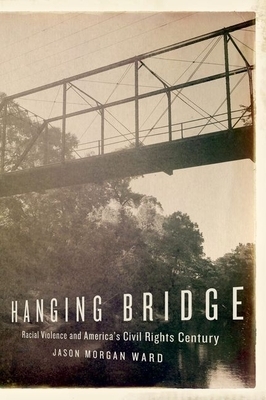 Spanning three generations, Hanging Bridge reconstructs two wartime lynchings the 1918 killing of two young men and two pregnant women, and the 1942 slaying of two adolescent boys that propped up Mississippi's white supremacist regime and hastened its demise. These organized murders reverberated well into the 1960s, when local civil rights activists again faced off against racial terrorism and more refined forms of repression.